DETROIT (Bloomberg) -- Ford Motor Co.’s credit rating was raised two levels by Moody’s Investors Service, which said the automaker’s operating performance “significantly exceeded” expectations. The upgrade in Ford’s corporate family rating to Ba2 from B1 is the fifth Moody’s has given the automaker in the last 13 months. Ford, which has $27.3 billion in automotive debt, remains two levels below investment grade. 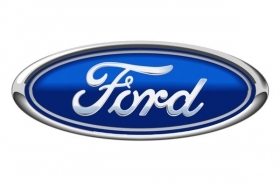 Moody’s said it has a stable outlook on Ford’s debt and its finance subsidiary, Ford Motor Credit Co. Returning to investment grade, which Ford slipped out of in 2005, has become “a rallying cry within the company,” Chief Financial Officer Lewis Booth said last month. Ford paid down debt by $7 billion in the second quarter. It continues to have larger obligations than General Motors Co., which had its balance sheet cleansed in bankruptcy last year. Ford is the only major U.S. automaker that didn’t seek bankruptcy protection with the help of the U.S. government in 2009. Since arriving from Boeing Co. in 2006, Ford CEO Alan Mulally has revived the automaker by expanding the namesake brand and improving quality. The carmaker earned $4.7 billion in the year’s first six months, its largest first-half profit since 1998. Sales of redesigned models such the Taurus and Fusion sedans helped propel Ford’s U.S. sales up 21 percent this year through September, more than twice the industrywide gain of 10 percent. GM was given a higher credit rating by Standard & Poor’s Ratings Services than Ford yesterday. S&P cited Ford’s debt load as a reason to rate it below GM. “We expect Ford’s credit measures to be improving because of the improvement in the earnings, whereas GM, some of the balance sheet metrics are strong or relatively better because of the debt reduction,” Robert Schulz, a Standard & Poor’s credit analyst, said in an interview Thursday. Moody’s estimated that Ford had reduced its break-even level by about 45 percent to achieve profit after selling 1.8 million vehicles, down from 3.5 million in 2007 and 2008. That was the result of downsizing of its workforce and streamlining its operations, Moody’s said. Moody’s also lifted Ford’s probability of default rating two steps to Ba2, indicating that likelihood is decreasing. Swaps to protect against a default of Ford bonds for five years have fallen 229 basis points this year to 668 basis points through yesterday, according to CMA DataVision prices. Credit-default swaps act like insurance contracts, paying the owner in the event of a default. A basis point equals $1,000 annually on a contract protecting $10 million of debt.